Seeing as it is Halloween, there is a lot of buzz in the dog parks about what your furkid will be wearing. Will Fido be a taco, Yoda, or a princess? There is more to dressing up your dog than just making them look good. Understanding your dogs personality is everything. You do not want to be dressing a rescued dog that is scared of people as a princess, as the attention she attracts will make her a very sad princess. On the other hand clothes may also help a dog who has anxiety issues as the tight sensation on their bodies gives a soothing effect. In South Africa, we also have to take into consideration the temperature and the comfort of your dog once it is dressed up. There is no right or wrong answer, but make sure you are aware of how your furkid might be feeling. 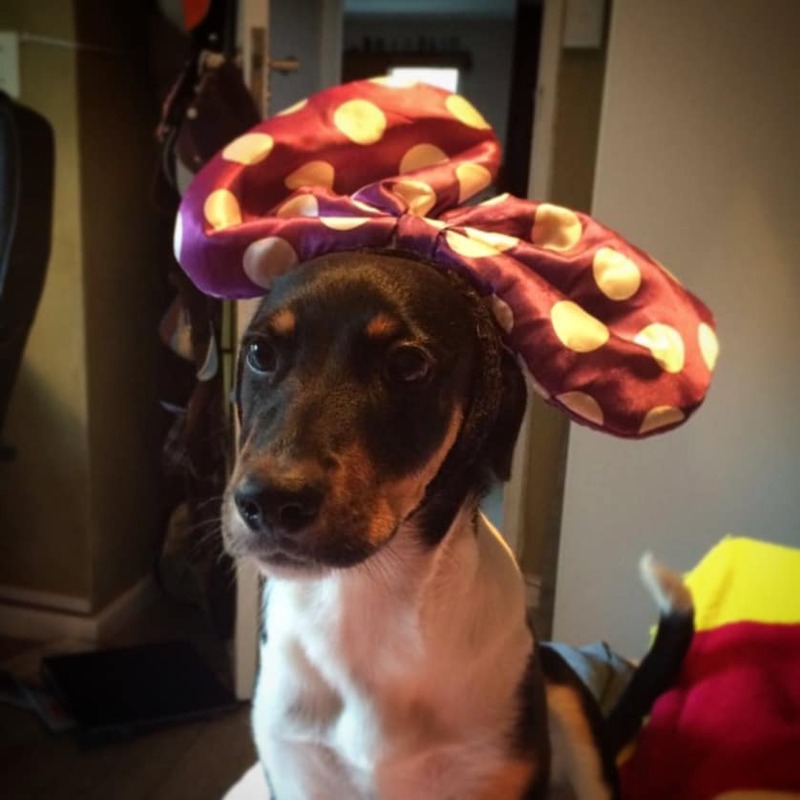 Although we want our furkids to be the best dressed, we sometimes have to remember that they are not human and dress up could land up being fun only for you. Read more: The Pros and Cons of Dressing Up Your Dog. https://meradog.co.za/wp-content/uploads/2016/10/IMG_0832.jpg 838 838 Dash https://meradog.co.za/wp-content/uploads/2018/05/MERA17_Logo_Dach_04.png Dash2016-10-30 13:18:502016-11-22 13:26:36Should you be dressing up your dog for Halloween?